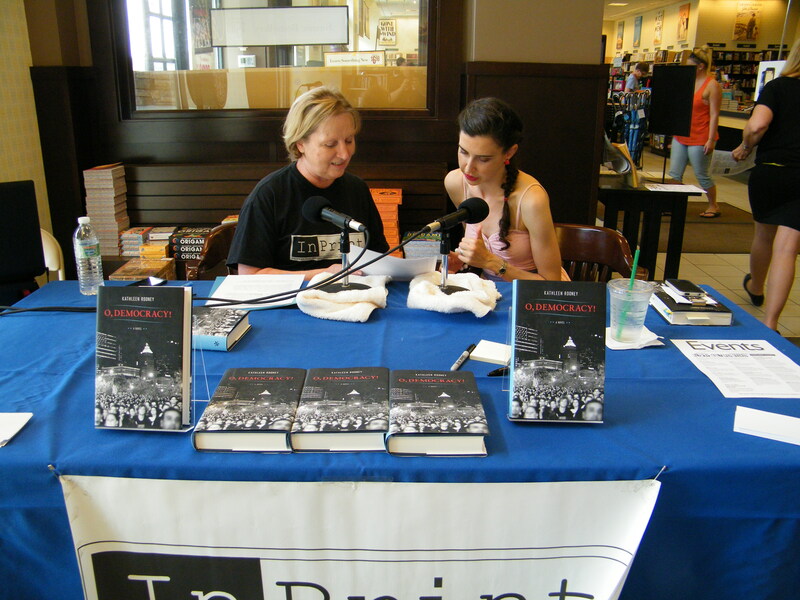 In Print member Sandy Colbert sat down with political novelist Kathleen Rooney at the Barnes and Noble bookstore in Cherry Vale Mall. They spoke about Kathleen’s book, O, Democracy!, and took questions from the audience. The interview will be featured in a future episode of In Print Radio. Wish you had been part of the fun? In Print Radio plans to record more shows with an audience in the near future. Sign up to receive information on upcoming show guests, dates and locations.